As our European counterparts whistle past the graveyard and perhaps find some monetary religion - i.e. 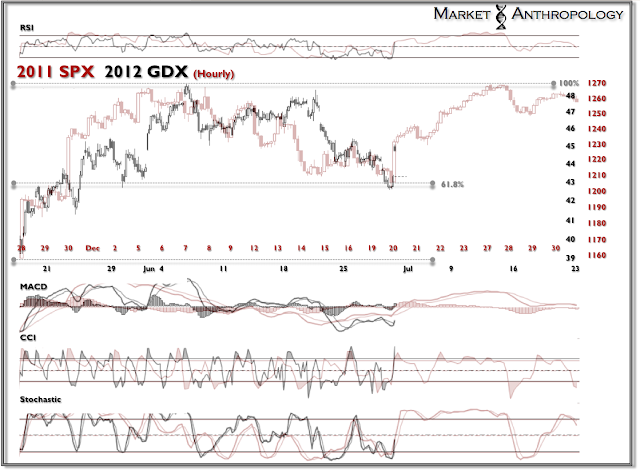 the 2002 Bernanke scrolls, the GDX completed a rather large retracement move down to its 61.8% fib. Interestingly enough, the SPX completed a very similar move in the fourth quarter of last year. From the perspective of the gold bulls - it is a welcomed audible from the NDX analog I have been following over the past month.